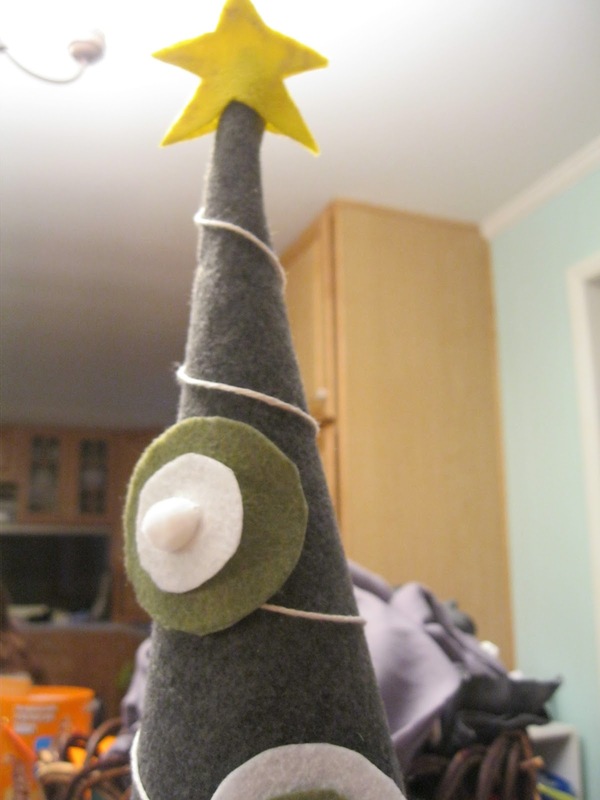 What started out as a Gandalf hat (I ditched it for a spray-painted witch's hat) has become a flannel and felt Christmas tree, thanks to my nieces! 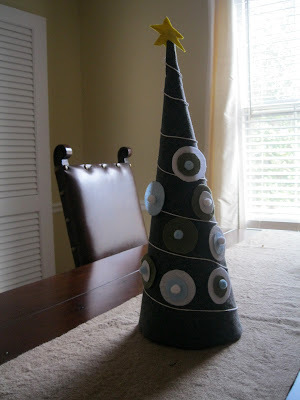 For Halloween "Chop" wanted to be Gandalf, so I rolled up some poster board into a cone, sprayed it with adhesive and covered it with flannel. The problem was that it didn't fit her head very well and it wasn't floppy enough. What to do? Well thank goodness my crafty nieces came into town for Thanksgiving, because--with just felt, glue, pom poms and string--they transformed it into a centerpiece! The decorations are movable/re-movable, so we can change it up next year. Nice, huh?